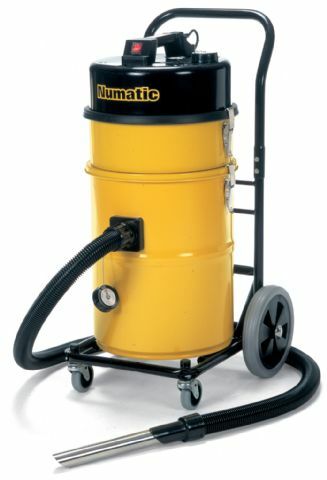 A twin motored vacuum designed to vacuum dust that can be considered a health hazard. This all steel machine comes with warning lights to inform you that either the bag or HEPA filter are full and closure caps for when the unit is not in use. All machines are supplied with a comprehensive accessory kit, including HepaFlo dust bags. The 2400W all-steel low noise power head and HEPA Filtration Module, sit on a big 35L capacity steel container which has a primary pre-filter and HepaFlo dust bag, in total providing up to 99.997% filter efficiency. All-steel high mobility chassis.